Design teams, general contractors, and trade subcontractors can now bring a point to LEED® projects by having G|PRO Certificate Holders among their staff and trades working on those projects. It also means that property managers, engineers, and other operational staff can bring one point to their existing properties. G|PRO is a certificate program that teaches the people who build, renovate, and maintain buildings the tools to integrate high-performance construction and maintenance practices into their everyday work. 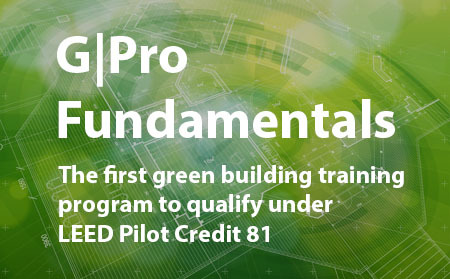 G|PRO training is a must have for building trades, contractors and operators who want a better understanding of LEED and green building practices and how they affect the job site. G|Pro Fundamentals explains how different systems work together to make buildings efficient, healthy and resilient, as well as where the green building industry is headed. 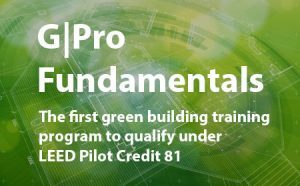 G|PRO is officially the first green building training program to qualify under LEED Pilot Credit 81 – Green Training for Contractors, Trades, Operators and Service Workers! Price include registration, exam fee, free parking and refreshments.Â LunchÂ is notÂ provided.Â It also includes certification processing of the application. Become a member and get a $50 coupon toward any future Green NRG course. Class starts at 8:00 am and ends by 3:00 mwith the exam following the class. 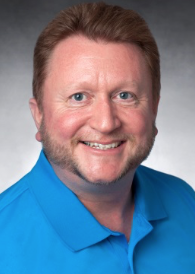 Wayne Alldredge, Associate Director O&M, Energy, and Commissioning Services at VCA Green, holds a Bachelor of Science Degree in Engineering Technology from California State University at Long Beach. He is a LEED® Accredited Professional, a Certified Energy Auditor, a Certified Energy Manager, a Certified Building Commissioning Professional, an Existing Buildings Commissioning Professional, a Green Globes Professional, a California Certified Acceptance Test Technician, and a Certified Measurement and Verification Professional. He is also a member of the U.S. Green Building Council, a member of the California Commissioning Collaborative, a Charter Member of the Institute of Energy Management and a Life Member of the Association of Energy Engineers.